Do you want to add a print button to your image gallery? Sometimes you may want to give your photography clients the option to print their proofs directly from your website. In this article, we will share how to allow users to print image galleries in WordPress. Having a print button on your image galleries is a great feature for your users, and removes the hassle of printing out photos directly from your website. 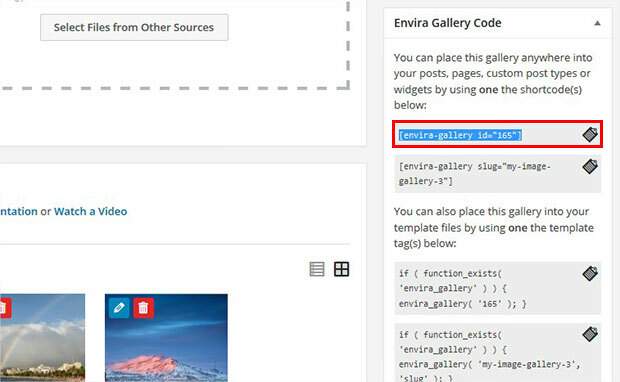 WordPress doesn’t have this feature by default, so you’ll need to use a third party plugin like Envira Gallery to add the print button to your WordPress images. First thing you need to do is install and activate the Envira Gallery WordPress plugin. Note that you’ll need the Basic or higher license for this tutorial. 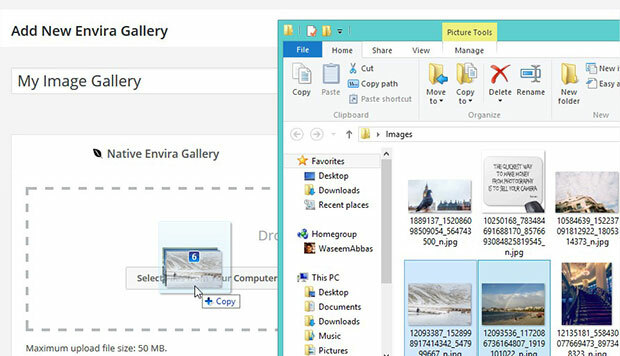 For help with this step, check out our guide on how to install Envira Gallery. Upon activation, you can go to Envira Gallery » Add New from your WordPress backend. Then, add a title to your image gallery, and add photos in the Native Envira Gallery section. For more help with this step, check out our complete guide on how to create an image gallery with thumbnails in WordPress. Next, you’ll need to install the Printing Addon so that you can add print buttons to your gallery. To do this, you’ll need to go to Envira Gallery » Addons. Then look for the Printing Addon to install and activate it. Now that the Printing Addon has been activated, go to edit your image gallery. Then, go to the Printing tab and check the box next to “Display Print Button?”. You can enable this feature for the gallery view only, the lightbox view only, or for both. You can also define the position of the button by selecting an option from the dropdown menu next to “Print Button Position”. 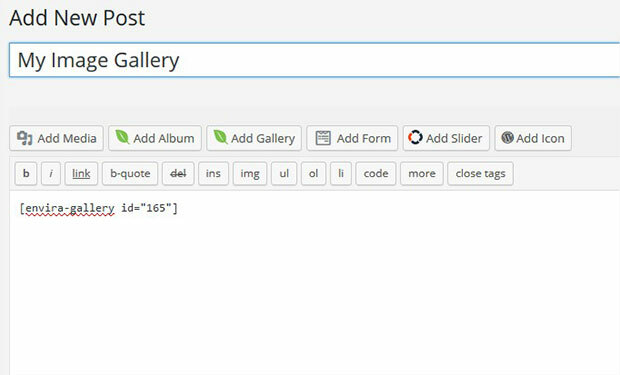 Now that you have saved your settings, it’s time to add your image gallery with print button to your WordPress website. To do this, you’ll need to find the shortcode information in the Envira Gallery Code widget at the right side of your screen. Simply copy this shortcode from here, as shown below. Now go to Posts » Add New, or edit an existing post. In the visual or text editor, go ahead and paste the shortcode wherever you want your gallery to appear and click on the Publish button. That’s it! 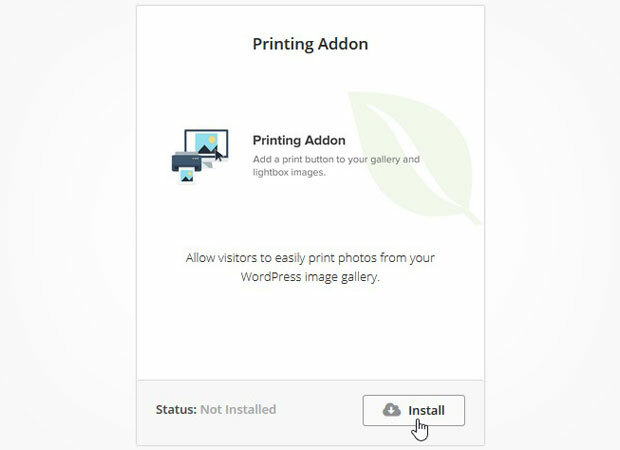 Now you have a photo gallery with print buttons that your photography clients can use to print proofs directly from your WordPress website. Go visit your site to see your new photo gallery in action. We hope this article has helped you to learn how to allow users to print image galleries in WordPress. You may also want to check out our guide on how to allow users to download gallery images in WordPress.